The basic structural and functional unit of all organisms; the smallest unit of life. This article is about the term in biology. For other uses, see Cell. Cells consist of cytoplasm enclosed within a membrane, which contains many biomolecules such as proteins and nucleic acids. Organisms can be classified as unicellular (consisting of a single cell; including bacteria) or multicellular (including plants and animals). The number of cells in plants and animals varies from species to species, it has been estimated that humans contain somewhere around 40 trillion (4×1013) cells. [a] Most plant and animal cells are visible only under a microscope, with dimensions between 1 and 100 micrometres. Cells were discovered by Robert Hooke in 1665, who named them for their resemblance to cells inhabited by Christian monks in a monastery. Cell theory, first developed in 1839 by Matthias Jakob Schleiden and Theodor Schwann, states that all organisms are composed of one or more cells, that cells are the fundamental unit of structure and function in all living organisms, and that all cells come from pre-existing cells. 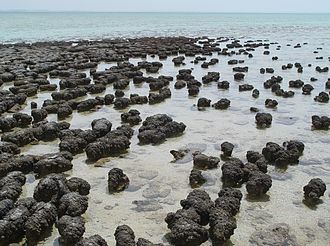 Cells emerged on Earth at least 3.5 billion years ago. Cells are of two types: eukaryotic, which contain a nucleus, and prokaryotic, which do not. Prokaryotes are single-celled organisms, while eukaryotes can be either single-celled or multicellular. Prokaryotes include bacteria and archaea, two of the three domains of life. Prokaryotic cells were the first form of life on Earth, characterised by having vital biological processes including cell signaling. They are simpler and smaller than eukaryotic cells, and lack membrane-bound organelles such as a nucleus. The DNA of a prokaryotic cell consists of a single chromosome that is in direct contact with the cytoplasm. The nuclear region in the cytoplasm is called the nucleoid. Most prokaryotes are the smallest of all organisms ranging from 0.5 to 2.0 µm in diameter. Motile eukaryotes can move using motile cilia or flagella. Motile cells are absent in conifers and flowering plants. Eukaryotic flagella are more complex than those of prokaryotes. All cells, whether prokaryotic or eukaryotic, have a membrane that envelops the cell, regulates what moves in and out (selectively permeable), and maintains the electric potential of the cell. Inside the membrane, the cytoplasm takes up most of the cell's volume. 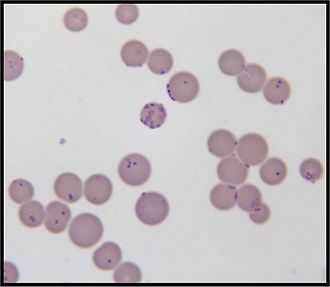 All cells (except red blood cells which lack a cell nucleus and most organelles to accommodate maximum space for hemoglobin) possess DNA, the hereditary material of genes, and RNA, containing the information necessary to build various proteins such as enzymes, the cell's primary machinery. There are also other kinds of biomolecules in cells. This article lists these primary cellular components, then briefly describes their function. The cell membrane, or plasma membrane, is a biological membrane that surrounds the cytoplasm of a cell. 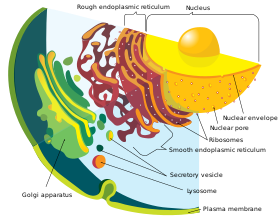 In animals, the plasma membrane is the outer boundary of the cell, while in plants and prokaryotes it is usually covered by a cell wall. This membrane serves to separate and protect a cell from its surrounding environment and is made mostly from a double layer of phospholipids, which are amphiphilic (partly hydrophobic and partly hydrophilic). Hence, the layer is called a phospholipid bilayer, or sometimes a fluid mosaic membrane. Embedded within this membrane is a variety of protein molecules that act as channels and pumps that move different molecules into and out of the cell. The membrane is semi-permeable, and selectively permeable, in that it can either let a substance (molecule or ion) pass through freely, pass through to a limited extent or not pass through at all. Cell surface membranes also contain receptor proteins that allow cells to detect external signaling molecules such as hormones. 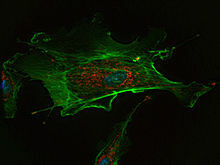 A fluorescent image of an endothelial cell. Nuclei are stained blue, mitochondria are stained red, and microfilaments are stained green. 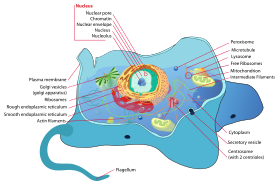 The cytoskeleton acts to organize and maintain the cell's shape; anchors organelles in place; helps during endocytosis, the uptake of external materials by a cell, and cytokinesis, the separation of daughter cells after cell division; and moves parts of the cell in processes of growth and mobility. The eukaryotic cytoskeleton is composed of microfilaments, intermediate filaments and microtubules. There are a great number of proteins associated with them, each controlling a cell's structure by directing, bundling, and aligning filaments. The prokaryotic cytoskeleton is less well-studied but is involved in the maintenance of cell shape, polarity and cytokinesis. The subunit protein of microfilaments is a small, monomeric protein called actin. The subunit of microtubules is a dimeric molecule called tubulin. Intermediate filaments are heteropolymers whose subunits vary among the cell types in different tissues. But some of the subunit protein of intermediate filaments include vimentin, desmin, lamin (lamins A, B and C), keratin (multiple acidic and basic keratins), neurofilament proteins (NF–L, NF–M). Prokaryotic genetic material is organized in a simple circular bacterial chromosome in the nucleoid region of the cytoplasm. Eukaryotic genetic material is divided into different, linear molecules called chromosomes inside a discrete nucleus, usually with additional genetic material in some organelles like mitochondria and chloroplasts (see endosymbiotic theory). Human cancer cells, specifically HeLa cells, with DNA stained blue. The central and rightmost cell are in interphase, so their DNA is diffuse and the entire nuclei are labelled. The cell on the left is going through mitosis and its chromosomes have condensed. 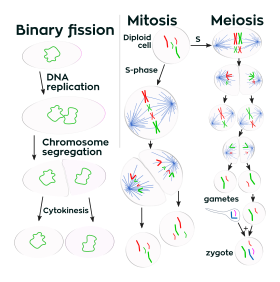 Prokaryotes divide by binary fission, while eukaryotes divide by mitosis or meiosis. 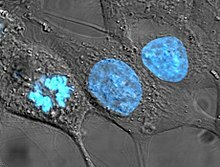 Within the nucleus of the cell (light blue), genes (DNA, dark blue) are transcribed into RNA. 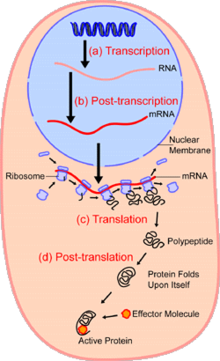 This RNA is then subject to post-transcriptional modification and control, resulting in a mature mRNA (red) that is then transported out of the nucleus and into the cytoplasm (peach), where it undergoes translation into a protein. mRNA is translated by ribosomes (purple) that match the three-base codons of the mRNA to the three-base anti-codons of the appropriate tRNA. Newly synthesized proteins (black) are often further modified, such as by binding to an effector molecule (orange), to become fully active. Staining of a Caenorhabditis elegans which highlights the nuclei of its cells. 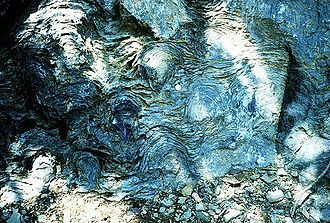 Stromatolites are left behind by cyanobacteria, also called blue-green algae. They are the oldest known fossils of life on Earth. This one-billion-year-old fossil is from Glacier National Park in the United States. 1632–1723: Antonie van Leeuwenhoek taught himself to make lenses, constructed basic optical microscopes and drew protozoa, such as Vorticella from rain water, and bacteria from his own mouth. 1665: Robert Hooke discovered cells in cork, then in living plant tissue using an early compound microscope. 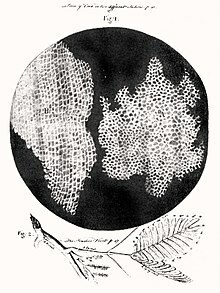 He coined the term cell (from Latin cella, meaning "small room") in his book Micrographia (1665). 1839: Theodor Schwann and Matthias Jakob Schleiden elucidated the principle that plants and animals are made of cells, concluding that cells are a common unit of structure and development, and thus founding the cell theory. 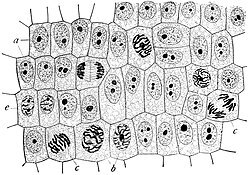 1855: Rudolf Virchow stated that new cells come from pre-existing cells by cell division (omnis cellula ex cellula). 1859: The belief that life forms can occur spontaneously (generatio spontanea) was contradicted by Louis Pasteur (1822–1895) (although Francesco Redi had performed an experiment in 1668 that suggested the same conclusion). 1931: Ernst Ruska built the first transmission electron microscope (TEM) at the University of Berlin. By 1935, he had built an EM with twice the resolution of a light microscope, revealing previously unresolvable organelles. 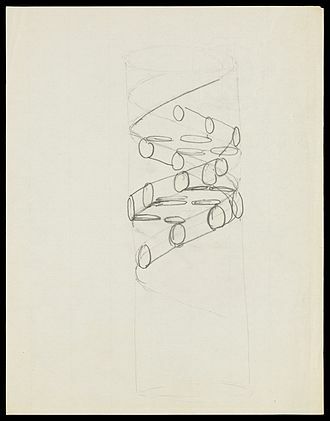 1953: Based on Rosalind Franklin's work, Watson and Crick made their first announcement on the double helix structure of DNA. ^ a b "Cell". Online Etymology Dictionary. Retrieved 31 December 2012. ^ Cell Movements and the Shaping of the Vertebrate Body in Chapter 21 of Molecular Biology of the Cell fourth edition, edited by Bruce Alberts (2002) published by Garland Science. ^ a b c d e f g h i j k l m n o p q r This article incorporates public domain material from the NCBI document "What Is a Cell?". 30 March 2004. ^ a b c Bianconi, Eva; Piovesan, Allison; Facchin, Federica; Beraudi, Alina; Casadei, Raffaella; Frabetti, Flavia; Vitale, Lorenza; Pelleri, Maria Chiara; Tassani, Simone (November 2013). "An estimation of the number of cells in the human body". Annals of Human Biology. 40 (6): 463–471. doi:10.3109/03014460.2013.807878. ISSN 0301-4460. These partial data correspond to a total number of 3.72±0.81×1013 [cells]. ^ Campbell, Neil A.; Brad Williamson; Robin J. Heyden (2006). Biology: Exploring Life. Boston, Massachusetts: Pearson Prentice Hall. ISBN 9780132508827. ^ Karp, Gerald (19 October 2009). Cell and Molecular Biology: Concepts and Experiments. John Wiley & Sons. p. 2. ISBN 9780470483374. Hooke called the pores cells because they reminded him of the cells inhabited by monks living in a monastery. ^ Tero AC (1990). Achiever's Biology. Allied Publishers. p. 36. ISBN 9788184243697. In 1665, an Englishman, Robert Hooke observed a thin slice of" cork under a simple microscope. (A simple microscope is a microscope with only one biconvex lens, rather like a magnifying glass). He saw many small box like structures. These reminded him of small rooms called "cells" in which Christian monks lived and meditated. ^ Maton A (1997). Cells Building Blocks of Life. New Jersey: Prentice Hall. ISBN 9780134234762. ^ a b Schopf JW, Kudryavtsev AB, Czaja AD, Tripathi AB (2007). "Evidence of Archean life: Stromatolites and microfossils". Precambrian Research. 158 (3–4): 141–55. Bibcode:2007PreR..158..141S. doi:10.1016/j.precamres.2007.04.009. ^ a b Schopf JW (2006). "Fossil evidence of Archaean life". Philos Trans R Soc Lond B Biol Sci. 29 (361(1470)): 869–885. doi:10.1098/rstb.2006.1834. PMC 1578735. PMID 16754604. ^ a b Raven PH, Johnson GB (2002). Biology. McGraw-Hill Education. p. 68. ISBN 9780071122610. Retrieved 7 July 2013. ^ Satir P, Christensen ST (June 2008). "Structure and function of mammalian cilia". Histochemistry and Cell Biology. 129 (6): 687–93. doi:10.1007/s00418-008-0416-9. PMC 2386530. PMID 18365235. 1432-119X. ^ Blair, David F.; Dutcher, Susan K. (1992-01-01). "Flagella in prokaryotes and lower eukaryotes". Current Opinion in Genetics & Development. 2 (5): 756–767. doi:10.1016/S0959-437X(05)80136-4. ISSN 0959-437X. ^ a b Campbell Biology—Concepts and Connections. Pearson Education. 2009. p. 320. 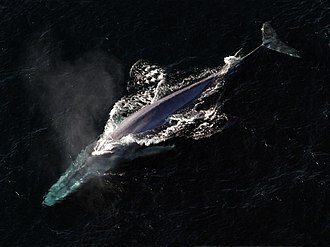 ^ Michie KA, Löwe J (2006). "Dynamic filaments of the bacterial cytoskeleton". Annual Review of Biochemistry. 75: 467–92. doi:10.1146/annurev.biochem.75.103004.142452. PMID 16756499. ^ Ménétret JF, Schaletzky J, Clemons WM, Osborne AR, Skånland SS, Denison C, Gygi SP, Kirkpatrick DS, Park E, Ludtke SJ, Rapoport TA, Akey CW (December 2007). "Ribosome binding of a single copy of the SecY complex: implications for protein translocation". Molecular Cell. 28 (6): 1083–92. doi:10.1016/j.molcel.2007.10.034. PMID 18158904. ^ Prokaryotes. Newnes. Apr 11, 1996. ISBN 9780080984735. 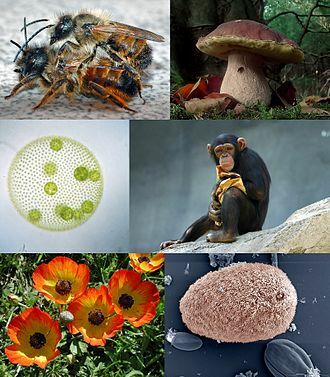 ^ Campbell Biology—Concepts and Connections. Pearson Education. 2009. p. 138. ^ Ananthakrishnan R, Ehrlicher A. "The Forces Behind Cell Movement". 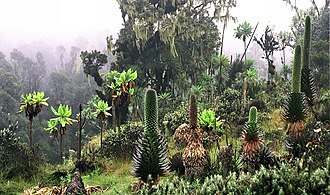 Biolsci.org. Retrieved 2009-04-17. ^ Ananthakrishnan R, Ehrlicher A (June 2007). "The forces behind cell movement". International Journal of Biological Sciences. 3 (5): 303–17. doi:10.7150/ijbs.3.303. PMC 1893118. PMID 17589565. ^ Becker WM, et al. (2009). The world of the cell. Pearson Benjamin Cummings. p. 480. ISBN 9780321554185. ^ a b c Grosberg RK, Strathmann RR (2007). "The evolution of multicellularity: A minor major transition?" (PDF). Annu Rev Ecol Evol Syst. 38: 621–54. doi:10.1146/annurev.ecolsys.36.102403.114735. ^ Popper ZA, Michel G, Hervé C, Domozych DS, Willats WG, Tuohy MG, Kloareg B, Stengel DB (2011). "Evolution and diversity of plant cell walls: from algae to flowering plants" (PDF). Annual Review of Plant Biology. 62: 567–90. doi:10.1146/annurev-arplant-042110-103809. hdl:10379/6762. PMID 21351878. ^ Bonner JT (1998). "The Origins of Multicellularity" (PDF). Integrative Biology: Issues, News, and Reviews. 1 (1): 27–36. doi:10.1002/(SICI)1520-6602(1998)1:1<27::AID-INBI4>3.0.CO;2-6. ISSN 1093-4391. Archived from the original (PDF, 0.2 MB) on March 8, 2012. ^ El Albani A, Bengtson S, Canfield DE, Bekker A, Macchiarelli R, Mazurier A, Hammarlund EU, Boulvais P, Dupuy JJ, Fontaine C, Fürsich FT, Gauthier-Lafaye F, Janvier P, Javaux E, Ossa FO, Pierson-Wickmann AC, Riboulleau A, Sardini P, Vachard D, Whitehouse M, Meunier A (July 2010). 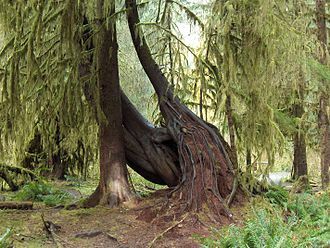 "Large colonial organisms with coordinated growth in oxygenated environments 2.1 Gyr ago". Nature. 466 (7302): 100–04. Bibcode:2010Natur.466..100A. 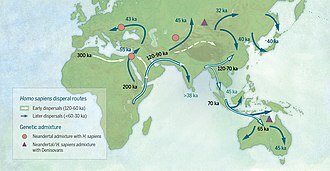 doi:10.1038/nature09166. PMID 20596019. ^ Orgel LE (December 1998). "The origin of life – a review of facts and speculations". Trends in Biochemical Sciences. 23 (12): 491–95. doi:10.1016/S0968-0004(98)01300-0. PMID 9868373. ^ Griffiths G (December 2007). "Cell evolution and the problem of membrane topology". Nature Reviews. Molecular Cell Biology. 8 (12): 1018–24. doi:10.1038/nrm2287. PMID 17971839. ^ An approximation made for someone who is 30 years old, weighs 70 kilograms (150 lb), and is 172 centimetres (5.64 ft) tall. The approximation is not exact, this study estimated that the number of cells was 3.72±0.81×1013. Alberts B, Johnson A, Lewis J, Morgan D, Raff M, Roberts K, Walter P (2015). Molecular Biology of the Cell (6th ed.). Garland Science. p. 2. ISBN 9780815344322. Alberts B, Johnson A, Lewis J, Raff M, Roberts K, Walter P (2014). Molecular Biology of the Cell (6th ed.). Garland. ISBN 9780815344322. ; The fourth edition is freely available from National Center for Biotechnology Information Bookshelf. Lodish H, Berk A, Matsudaira P, Kaiser CA, Krieger M, Scott MP, Zipurksy SL, Darnell J (2004). Molecular Cell Biology (5th ed.). WH Freeman: New York, NY. ISBN 9780716743668.
Cooper GM (2000). The cell: a molecular approach (2nd ed.). Washington, D.C: ASM Press. ISBN 9780878931026. Inside the Cell – a science education booklet by National Institutes of Health, in PDF and ePub. New Microscope Produces Dazzling 3D Movies of Live Cells, March 4, 2011 – Howard Hughes Medical Institute. The cell envelope comprises the inner cell membrane and the cell wall of a bacterium, if present, plus a bacterial outer membrane. Most bacterial cell envelopes fall into two categories, a gram-positive type and a gram-negative type. These are the envelopes typically found in bacteria staining during a Gram stain, as in other organisms, the bacterial cell wall provides structural integrity to the cell. The bacterial cell wall differs from that of all organisms by the presence of peptidoglycan. Peptidoglycan is responsible for the rigidity of the cell wall. It is relatively porous and is not considered to be a permeability barrier for small substrates, while all bacterial cell walls contain peptidoglycan, not all cell walls have the same overall structures. This is notably expressed through the classification into gram positive and gram negative bacteria, the gram-positive cell wall is characterised by the presence of a very thick peptidoglycan layer, which is responsible for the retention of the crystal violet dyes during the Gram staining procedure. It is found exclusively in organisms belonging to the Actinobacteria and the Firmicutes, bacteria within the Deinococcus-Thermus group may exhibit gram-positive staining behaviour but contain some cell wall structures typical of gram-negative organisms. Imbedded in the cell wall are polyalcohols called teichoic acids. Because lipoteichoic acids are linked to lipids within the cytoplasmic membrane they are responsible for linking the peptidoglycan to the cytoplasmic membrane. Teichoic acids give the cell wall an overall negative charge due to the presence of phosphodiester bonds between teichoic acid monomers. Outside the cell wall, many Gram-positive bacteria have an S-layer of tiled proteins, the S-layer assists attachment and biofilm formation. Outside the S-layer, there is often a capsule of polysaccharides, the capsule helps the bacterium evade host phagocytosis. In laboratory culture, the S-layer and capsule are often lost by reductive evolution, the highly charged nature of lipopolysaccharides confer an overall negative charge to the gram -negative cell wall. 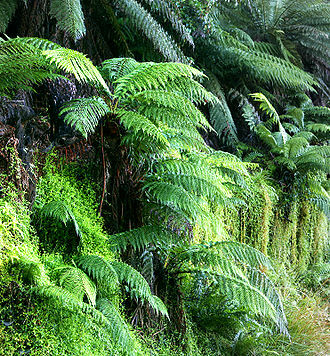 Various forms of life exist, such as plants, fungi, protists and bacteria. 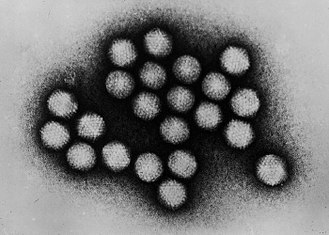 The criteria can at times be ambiguous and may or may not define viruses, biology is the primary science concerned with the study of life, although many other sciences are involved. The definition of life is controversial, the current definition is that organisms maintain homeostasis, are composed of cells, undergo metabolism, can grow, adapt to their environment, respond to stimuli, and reproduce. However, many other definitions have been proposed, and there are some borderline cases. Modern definitions are more complex, with input from a diversity of scientific disciplines, biophysicists have proposed many definitions based on chemical systems, there are some living systems theories, such as the Gaia hypothesis, the idea that the Earth itself is alive. Another theory is that life is the property of systems, and yet another is elaborated in complex systems biology. Abiogenesis describes the process of life arising from non-living matter. Properties common to all organisms include the need for certain chemical elements to sustain biochemical functions. Life on Earth first appeared as early as 4.28 billion years ago, soon after ocean formation 4.41 billion years ago, Earths current life may have descended from an RNA world, although RNA-based life may not have been the first. The mechanism by which began on Earth is unknown, though many hypotheses have been formulated and are often based on the Miller–Urey experiment. The earliest known forms are microfossils of bacteria. In July 2016, scientists reported identifying a set of 355 genes believed to be present in the last universal ancestor of all living organisms. Since its primordial beginnings, life on Earth has changed its environment on a time scale. 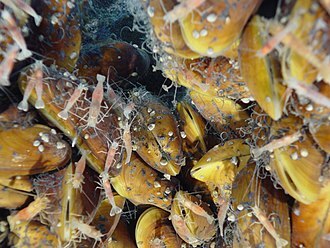 To survive in most ecosystems, life must often adapt to a range of conditions. Some microorganisms, called extremophiles, thrive in physically or geochemically extreme environments that are detrimental to most other life on Earth, Aristotle was the first person to classify organisms. A unicellular organism, known as a single-celled organism, is an organism that consists of only one cell, unlike a multicellular organism that consists of more than one cell. Historically, simple unicellular organisms have been referred to as monads, though this term is used more specifically to describe organisms of the genus Monas. 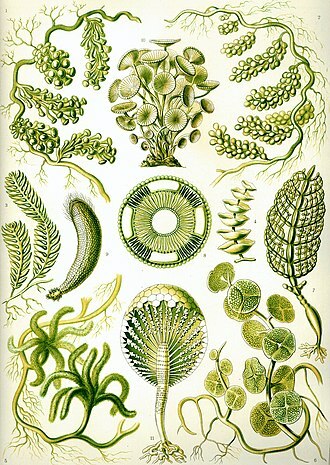 The main groups of organisms are bacteria, protozoa, unicellular algae. Unicellular organisms fall into two categories, prokaryotic organisms and eukaryotic organisms. Unicellular organisms are thought to be the oldest form of life, most Protista, and some fungi are unicellular. Although some of these live in colonies, they dont exhibit specialization. 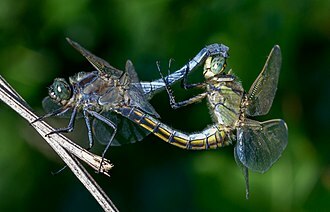 These organisms live together, and each cell in the colony is the same, each individual cell must carry out all life processes to survive. In contrast, even the simplest multicellular organisms have cells that depend on each other to survive, most multicellular organisms have a unicellular life-cycle stage. Gametes, for example, are reproductive unicells for multicellular organisms, multicellularity appears to have evolved independently many times in the history of life. 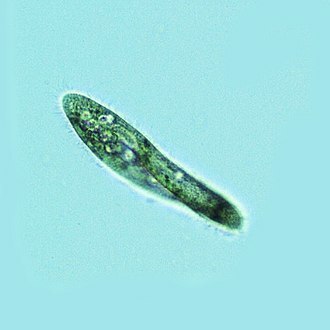 Some organisms are partially uni- and multicellular, like Dictyostelium discoideum, unicellular organisms can be multinucleate, like Myxogastria and Plasmodium. 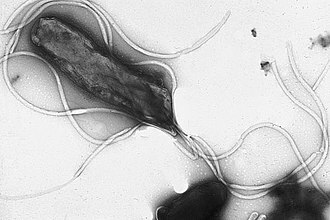 Candidatus Magnetoglobus multicellular, related to Deltaproteobacteria, is a multicellular prokaryote and it is neither unicellular, nor a colony. Primitive cells, often referred to as protocells, are the precursors to todays unicellular organisms, the RNA world hypothesis assumes that RNA molecules could form in abiotic conditions, which would require nucleic acids and ribose to be present. Theoretical and experimental findings show that nucleic acids and sugars could have been synthesized in early prebiotic conditions, compartmentalization was necessary for chemical reactions to be more likely as well as to differentiate reactions with the external environment. For example, an early RNA replicator ribozyme may have replicated other replicator ribozymes of different RNA sequences if not kept separate, when amphiphiles like lipids are placed in water, the hydrophobic tails aggregate to form micelles and vesicles, with the hydrophilic ends facing outwards. A cell wall is a structural layer surrounding some types of cells, situated outside the cell membrane. It can be tough and sometimes rigid and it provides the cell with both structural support and protection, and acts as a filtering mechanism. Cell walls are present in most prokaryotes, in algae and fungi, a major function is to act as pressure vessels, preventing over-expansion of the cell when water enters. The composition of cell walls varies between species and may depend on type and developmental stage. 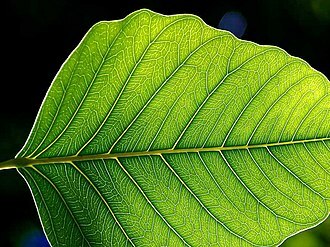 The primary cell wall of plants is composed of the polysaccharides cellulose, hemicellulose. Often, other such as lignin, suberin or cutin are anchored to or embedded in plant cell walls. Algae possess walls made of glycoproteins and polysaccharides such as carrageenan, in bacteria, the cell wall is composed of peptidoglycan. The cell walls of archaea have various compositions, and may be formed of glycoprotein S-layers, pseudopeptidoglycan, Fungi possess cell walls made of the glucosamine polymer chitin. 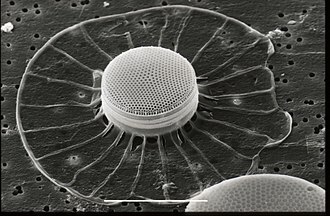 Unusually, diatoms have a wall composed of biogenic silica. A plant cell wall was first observed and named by Robert Hooke in 1665, in 1804, Karl Rudolphi and J. H. F. Link proved that cells had independent cell walls, before, it had been thought that cells shared walls and that fluid passed between them this way. The mode of formation of the wall was controversial in the 19th century. Hugo von Mohl advocated the idea that the wall grows by apposition. 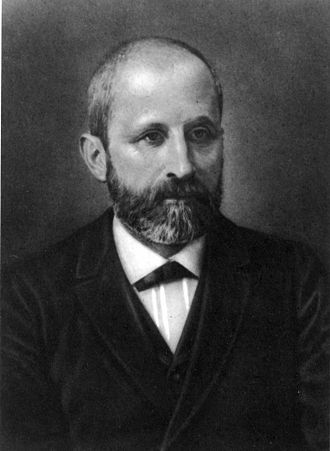 Carl Nägeli believed that the growth of the wall in thickness, each theory was improved in the following decades, the apposition theory by Eduard Strasburger, and the intussusception theory by Julius Wiesner. 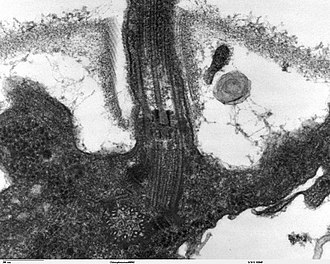 In 1930, Ernst Münch coined the term apoplast in order to separate the living symplast from the dead plant region, Cell walls serve similar purposes in those organisms that possess them. They may give cells rigidity and strength, offering protection against mechanical stress, in multicellular organisms, they permit the organism to build and hold a definite shape. The Archaea constitute a domain and kingdom of single-celled microorganisms. These microbes are prokaryotes, meaning that they have no cell nucleus or any other membrane-bound organelles in their cells, Archaea were initially classified as bacteria, receiving the name archaebacteria, but this classification is outdated. Archaeal cells have unique properties separating them from the two domains of life and Eukaryota. The Archaea are further divided into multiple recognized phyla, classification is difficult because the majority have not been isolated in the laboratory and have only been detected by analysis of their nucleic acids in samples from their environment. Archaea and bacteria are generally similar in size and shape, although a few archaea have very strange shapes, such as the flat, other aspects of archaeal biochemistry are unique, such as their reliance on ether lipids in their cell membranes, including archaeols. Archaea use more energy sources than eukaryotes, these range from organic compounds, such as sugars, to ammonia, metal ions or even hydrogen gas. Salt-tolerant archaea use sunlight as a source, and other species of archaea fix carbon, unlike plants and cyanobacteria. Archaea reproduce asexually by fission, fragmentation, or budding, unlike bacteria and eukaryotes. They are found in the colon, oral cavity. Archaea are particularly numerous in the oceans, and the archaea in plankton may be one of the most abundant groups of organisms on the planet, Archaea are a major part of Earths life and may play roles in both the carbon cycle and the nitrogen cycle. 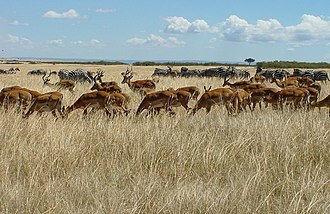 No clear examples of archaeal pathogens or parasites are known, one example is the methanogens that inhabit human and ruminant guts, where their vast numbers aid digestion. Methanogens are used in production and sewage treatment, and enzymes from extremophile archaea that can endure high temperatures. 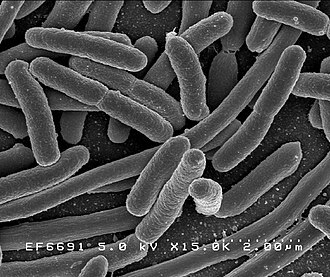 For much of the 20th century, prokaryotes were regarded as a group of organisms and classified based on their biochemistry, morphology. For example, microbiologists tried to classify based on the structures of their cell walls, their shapes. A microscope is an instrument used to see objects that are too small for the naked eye. The science of investigating small objects using such an instrument is called microscopy, microscopic means invisible to the eye unless aided by a microscope. There are many types of microscopes, the most common is the optical microscope, which uses light to image the sample. Other major types of microscopes are the microscope, the ultramicroscope. The earliest microscopes were single lens magnifying glasses with limited magnification which date at least as far back as the wide use of lenses in eyeglasses in the 13th century. Compound microscopes, which combine an objective lens with an eyepiece to view a real image, the actual inventor of the compound microscope is unknown although many claims have been made over the years. These include what may be a claim by the son of Zacharias Janssen that his father invented the microscope and telescope as early as 1590. Historians note the compound microscope did not appear in the Netherlands until the 1620s, giovanni Faber coined the name microscope for the compound microscope Galileo submitted to the Accademia dei Lincei in 1625. The first detailed account of the construction of living tissue based on the use of a microscope did not appear until 1644, in Giambattista Odiernas Locchio della mosca. It was not until the 1660s and 1670s that the microscope was used extensively for research in Italy, marcello Malpighi in Italy began the analysis of biological structures, beginning with the lungs. 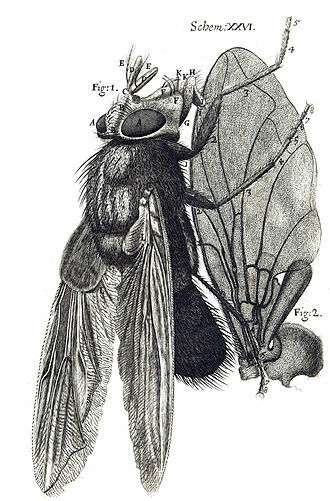 Robert Hookes Micrographia had an impact, largely because of its impressive illustrations. A significant contribution came from Antonie van Leeuwenhoek who achieved up to 300 times magnification using a single lens microscope. He sandwiched a very small glass ball lens between the holes in two metal plates riveted together, and with a needle attached to mount the specimen. Then, Van Leeuwenhoek re-discovered red blood cells and spermatozoa, on 9 October 1676, he reported the discovery of micro-organisms. The performance of light microscopy depends as much on how the sample is illuminated as on how it is observed, early instruments were limited until this principle was fully appreciated and developed, and until electric lamps were available as light sources. Anatomical terminology is a form of scientific terminology used by anatomists and health professionals such as doctors. Anatomical terminology uses many terms and prefixes deriving from Ancient Greek. These terms can be confusing to those unfamiliar with them, but can be more precise reducing ambiguity, since these anatomical terms are not used in everyday conversation, their meanings are less likely to change, and less likely to be misinterpreted. By using precise anatomical terminology such ambiguity is eliminated, an international standard for anatomical terminology, Terminologia Anatomica has been created. Anatomical terminology has quite regular morphology, the prefixes and suffixes are used to add meanings to different roots. The root of a term refers to an organ, tissue. For example, in the disorder hypertension, the prefix hyper- means high or over, the roots and suffixes are often derived from Greek or Latin, and often quite dissimilar from their English-language variants. Latin names of such as musculus biceps brachii can be split up and refer to, musculus for muscle, biceps for two-headed. The first word tells us what we are speaking about, the second describes it, when describing the position of anatomical structures, structures may be described according to the anatomical landmark they are near. These landmarks may include structures, such as the umbilicus or sternum, or anatomical lines, the cephalon or cephalic region refers to the head. This area is differentiated into the cranium, frons, auris, nausus, oris. The neck area is called the cervicis or cervical region, examples of structures named according to this include the frontalis muscle, submental lymph nodes, buccal membrane and orbicularis oculi muscle. Sometimes, unique terminology is used to reduce confusion in different parts of the body, for example, different terms are used when it comes to the skull in compliance with its embryonic origin and its tilted position compared to in other animals. Here, Rostral refers to proximity to the front of the nose, similarly, in the arms, different terminology is often used in the arms, in part to reduce ambiguity as what is the front, back and outer surfaces. Cut onions emit certain compounds which cause the lacrimal glands in the eyes to become irritated, releasing tears. Fluorescence microscope with the filter cube turret above the objective lenses, coupled with a camera. 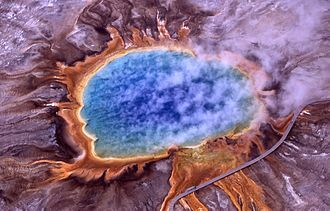 Archaea were found in volcanic hot springs. Pictured here is Grand Prismatic Spring of Yellowstone National Park. 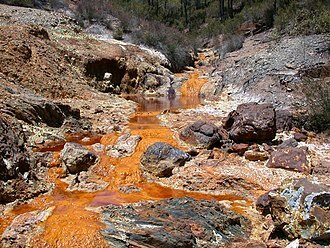 The ARMAN are a new group of archaea recently discovered in acid mine drainage. Sulfolobus infected with the DNA virus STSV1. Bar is 1 micrometer. 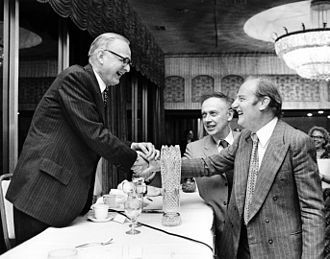 Konstantin Mereschkowski proposed a symbiotic origin for cells with nuclei. The biceps brachii flex the lower arm. The brachioradialis, in the forearm, and brachialis, located deep to the biceps in the upper arm, are both synergists that aid in this motion. Image from his textbook "The cell in Development and Inheritance", second edition, 1900. A representation of the 3D structure of myoglobin,with showing alpha helices, represented by ribbons. 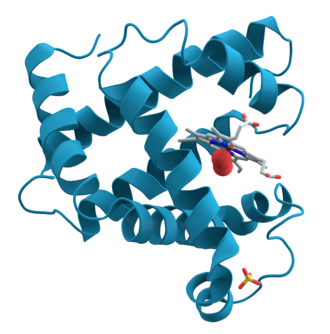 This protein was the first to have its structure solved by X-ray crystallography by Max Perutz and Sir John Cowdery Kendrew in 1958, for which they received a Nobel Prize in Chemistry. The Swiss scientist Friedrich Miescher discovered nucleic acids (DNA) in 1868. 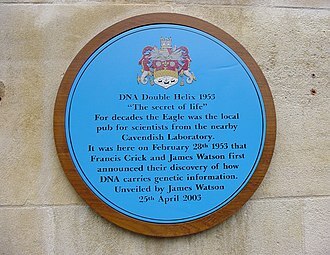 Later, he raised the idea that they could be involved in heredity. In this image, a wild-type Caenorhabditis elegans is stained to highlight the nuclei of its cells. Schematic of typical gram-positive cell wall showing arrangement of N-Acetylglucosamine and N-Acetylmuramic acid; Teichoic acids not shown. A bacterial capsule has a semi-ridged border that follows the contour of the cell. The capsule excludes India Ink when dyed. A slime layer is a non-ridged matrix that is easily deformed and is not able to exclude India Ink. Biofilms are composed of many cells and their outer barriers. The primary functions of both capsules and slime layers are for protection and adhesion.